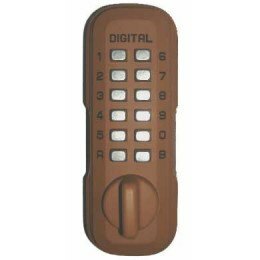 Lockey LKS200 Digital Key Safe - Dark Green, blends into the foliage and can be fitted to an outside wall or onto a door where it appears to be a digital door lock therefore offering extra security. View or download the operating instructions by clicking the PDF symbol below. 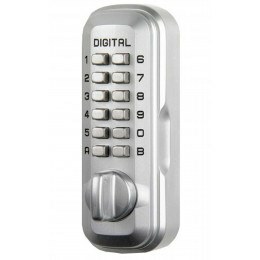 LOCKEY LKS200/G Digital Key Safe finished in Green. 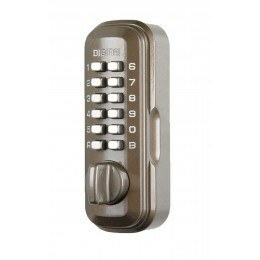 The Lockey LKS200/G is designed for indoor or outdoor storage of 1-2 spare keys for use in an Emergency, for Office use, Holiday Rentals and Lets or for visitors such as health care professionals, Social services and emergency services to make contact with the infirm or elderly. 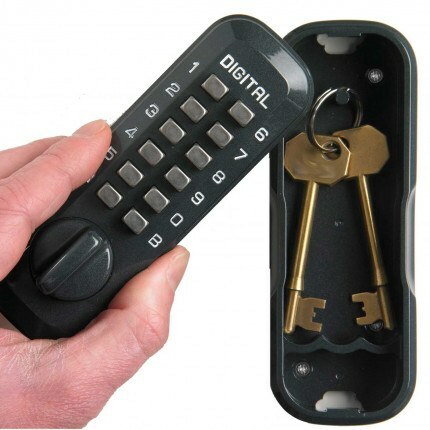 Use the Lockey LKS200/G to store & share 1-2 house keys, shed keys, lock up & garage keys, padlock & emergency keys. Will it discolour with sun and rain? 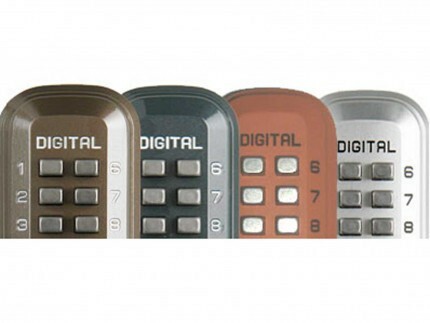 In our experience, over the past 6 years, we have had no issue with the finish fading or discolouring on any of the Lockey key safes. If you are situated close to the coast (within 10 miles) then over time one would expect a deterioation. Can this key safe be locked without the code being entered. So the holder of a key can lock the key into it without having to know the code if it is left open for them? There is no need to enter a code to lock the door. 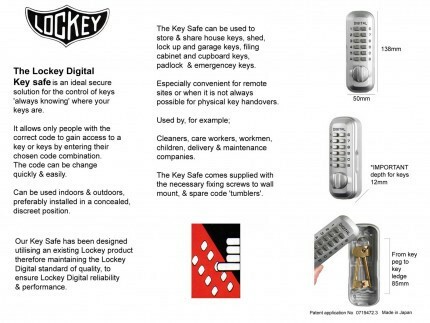 on the Lockey LKS200 Key Safe. However, once the door is unlocked it would be loose from the wall fixed housing and would hang by a chain until it is fitted back to the housing and pushed closed.